Ok, I don’t usually admit in polite company that I like burgers. Ground meat has never been one of my favorite foods. But the burger called the Surf and Turf Lob-Steer Burger hit me right in the ol’ pleasure centers. I WANTED that burger after watching Burger Lab on YouTube, and that’s because Richard Blais dresses his gourmet burgers extravagantly, creatively and deliciously on camera. It’s visceral, it’s fun, it’s hearbreakingly artery-clogging, but I DON’T CARE. 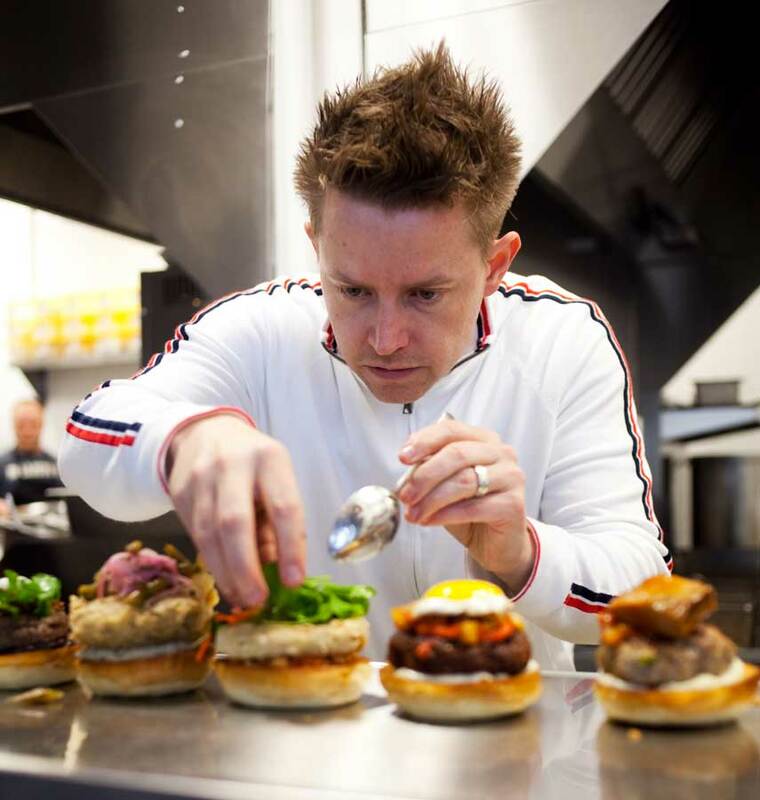 For those of you who don’t know him, Richard Blais is a restaurateur and author as well as host of Burger Lab. He was the runner-up of the fourth season TOP CHEF and the winner of season eight, TOP CHEF: ALL STARS. Burger Lab features dozens of great burger recipes with cute names like Gangnum Style Burger with Korean Barbecue and Beer and Cheese Brit Burger. The photography and closeups in Burger Lab feature mouth-watering examples of pure burger bliss. This show makes me want to learn how to cook like Chef Richard. He’s so engaging, and although the recipes call for some pretty far out ingredients, he makes it look all so easy.